Jessica Siegel is the registered dietitian for Gelson’s Markets, where for the past 14 years she has taught shoppers that healthy eating can be easy, delicious, and fun. Jessica is best known for her healthful salad creations for Gelson’s service delis and has converted thousands of people to kale with her Crunchy Kale Salad. 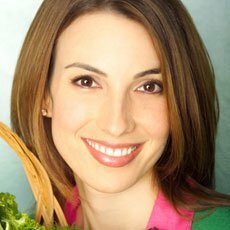 Additionally, she writes Nutrition Notes, a monthly newsletter about health and nutrition, and develops healthful recipes, all of which are available online at HYPERLINK “http://www.gelsons.com” www.gelsons.com. To further enhance the public’s health through diet, Jessica has established several shopping list and shelf tag programs at Gelson’s which highlight specific health-promoting products. These programs include the No Gluten Ingredient Program, Super 4 Kids, and Super Heart Smart, developed in partnership with the Cedars-Sinai Barbra Streisand Women’s Heart Center. She visits several store locations each month to meet personally with Gelson’s shoppers and lead shopping tours. Jessica’s latest endeavor is Nutrition Bytes, a podcast about healthy eating, which you can download at iTunes and Stitcher Radio. Jessica has been the Media Spokesperson for the California Dietetic Association, as well as a contributor to Food & Nutrition and Muscle and Fitness Hers magazines, as well as a member of the executive board of the Los Angeles chapter of the California Dietetic Association. Jessica has appeared as a nutrition and weight-loss expert on the Food Network’s show, Weighing In, as well as Fit TV’s Fitness Fantasy. She is passionate about helping people improve their health and prevent diseases through better knowledge of food and nutrition, and has been honored with the Academy of Nutrition and Dietetics’ Recognized Young Dietitian of the Year award.Jessica has a bachelor of science in dietetics and a master’s degree in public health from the University of California at Berkeley. She lives with her husband and two young daughters in Los Angeles.